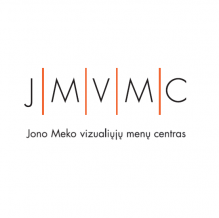 On February 19, 2016, an exceptional event will take place at the Jonas Mekas Visual Arts Center. MeKuSa.Annals IX is a (non) retrospective project by leaders of Klaipeda’s informal art scene. The show will present MeKuSa’s works from 2008-2015 which encompass (counter)culture, (non)art, music and other forms. Visitors will be able to view documentation of different types of (counter)culture activities, photos of performance interventions, video documentation of the artistic process, video and films by members of the association (Person with a Video Camera, John OFF, Film without a Title, without a Beginning or an End), objects, artifacts, sound installations, sketches, archival material, reports and documentation about the Ont GRINDu grindcore music festival. The exhibition is an exceptional opportunity for the artists of Vilnius to learn how the avant-garde is created and what a group of avant-garde artists should be doing. If there proves to be a need – and we have no doubt that there will be – the members of MeKuSa will provide collective and individual consultations for a symbolic fee to the artists of Vilnius on how to become avant-garde artists. The consultations will take place in Klaipeda or Gargzdai. The opening will take place on February 19 at 6PM at the Jonas Mekas Visual Arts Center ( 8 Malunu St.) The film Person with a Video Camera will be shown during the opening accompanied by Hassokk’s live music. The exhibition will close on April 11. Entrance for Vilnius’ artists is free of charge. The show’s curators are Kestutis Sapoka and Darius Vaicekauskas. Los Artistas Unidos Jamás Serán Vencidos!